A few weeks ago, Beverly Hills-based Meteor Games, the latest startup from the founders of NeoPets, announced that it had hired Zac Brandenberg as its CEO. Brandenberg was most recently head of Hydra, and we thought we'd both get some insight into how Meteor is approaching the social games market, how the firm hopes to repeat the success it saw with Neopets, and also what Brandenberg learned from his time at Hydra. Zac, thanks for sitting down with us today. What's the story behind Meteor Games? Zac Brandenberg: Meteor Games is a game design studio, focused on casual social games. We're currently developing applications on Facebook. Some of our titles include Island Paradise, Ranch Town, and Sweet Shop. Island Paradise was launched by the business slightly more than a year ago. These are what you might consider traditional, Facebook casual social games. On Island Paradise, for example, you get a plot of land, you can raise animals and farm crops on them, grow trees, etcetera. 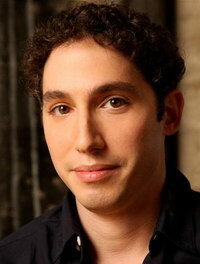 Zac Brandenberg: The company was founded in late 2007 by Adam and Donna Powell. Adam and Donna had founded a virtual world website in 1999 called Neopets. They created Neopets, brought it to the US, helped it grow, and eventually sold it to Viacom in 2005. They launched this business in 2007, with the concept of building another virtual world and large scale game. After about a year or year and a half into the business, we were really innovating the intellectual property, developing storylines and assets, and starting to go in a 3D direction. As a comparison, most Flash games, and particularly on Facebook, are 2D. So we were looking at creating a more immersive property, a massively multiplayer online style game. Then, the opportunity came to steer our resources into the explosion in social games. We were well suited to design and develop those games, because we already had the infrastructure in place, and the founders were experts in game design. So, we refocused in late 2008 and early 2009, and launched Island Paradise in August of that year. Since then, we've seen lots of changes in the social gaming market, including lots of new players, lots of growth, and also lots of interest from traditional gaming studios. Because of that, where we want to go now with the business is back in the direction that Meteor Games was originally focused on, which is more immersive, more fleshed out, more content driven, interactive games. That's different from most games on Facebook, and on social networks as a whole, which are relatively simple games, with the same gaming mechanics over and over again. Instead, we're creating more immersive games that our players are able to engage with. We are focused on well developed, new mechanics in gaming, and providing users the ability to play on numerous platforms, not just Facebook itself, and provide an innovative experience. Why the interest in that area? Zac Brandenberg: The company had a lot of success with Island Paradise, which grew very rapidly. In late fall and winter of 2009, it had reached 8-10 million players already. But, like every one of those type of games, and every one based on relatively simple farming--we reached whatever the critical mass was, and started to see some attrition to our user base. We've also wanted to be able to develop more detailed, more content driven games, which was what the company wanted to do. What's the business model you have for social games? Zac Brandenberg: We currently both have a premium product we sell, by the way of premium items. We also have in-game currency, which is not premium. What that means, is that essentially, when you play the game, you collect gold when you farm or engage in any activity. With that gold, you can buy more crops or animals. With the premium currency in the game, you actually have to pay hard dollars, and you can use that premium currency to advance where you are in the game. You can buy more space, you can expand the size of your island, you can buy certain trees and items, or certain decorations. Those virtual items are only available for purchase with premium currency. That said, the games are free to play, and the experience is not significantly different for users who are not spending actual dollars in the game. You can still expand your island, and still gain the same levels as paying players. You just joined recently, but from a different industry. Can you talk about how your Internet ad experience might be applied here? Zac Brandenberg: I've been in the advertising space, and in online advertising and interactive for much of the last ten years. During that time, I had either interest or activities in other areas, including in online, some in ecommerce, some efforts that were more retail-driven, and traditional properties with an Internet presence. So, my background is primarily in consumer marketing, advertising, and the ability to monetize properties. Where that brings value to Meteor Games, is one of the core things we're looking to do is make great games for our players. At the same time we are making great games, is we want to monetize those games. Having the combination of the companies founders and the current executive team, including myself, we not only have experience in creating incredible gaming properties, having build the unique an dindustry leading virtual world like Adam and Donna did in launching Neopets in 1999, we've also got a team which has successfully marketed and monetized digital properties, which is important. A bit off topic, but it was a long and tumultuous experience for you at Hydra. Can you talk about what you learned from that experience? Zac Brandenberg: I would say that one of the takeaways from Hydra, and there are a lot, is that you have to set your goals, set your targets, and corral a great team. If you've got the right team, you can move as fast as you can towards that target. One of the other things I learned form that, and which I didn't necessarily execute to perfection, is that while you're rapidly pursuing that goal, and pushing towards whatever your objective is--with Hydra, it was to be the largest CPA network in the United States--is you need to remain cognizant of industry changes. You have to be continually looking, and reinventing elements of your business, and innovating. That's what I think we're doing here. We're constantly looking at the interactive games we're developing, how the platform is being used, what types of games we are making available to our players, and staying cognizant that this industry is moving very fast, and things are changing rapidly, very similar to the way games evolved online ten years ago. Because of that, we need to remain mindful, as we grow our business, that we need to continue to find new ways to grow and expand.